Our editors pick the best earbuds in 2018 that deliver the best sound quality and design. These earbuds are developed for music lovers who want to listen to music with crisp highs, detailed treble ranges, midranges and deep lows. Our editors tested over a hundred earbuds to determine how each of them sound and whether they live up to expectations. These earbuds come with a sleek and unique design and are comfortable to wear for prolonged periods of time without causing fatigue. Some of these earbuds also come with additional ear-tips of different sizes to choose from which is convenient. Do check out our top picks for the best earbuds that produce the best sound quality below! The Betron YSM1000 are some of the best earbuds with strong stereo and bass driven sound. These earbuds provide powerful bass enhanced sound with superb musical detail and good volume, and are compatible with MP3, iPod, iPhone, DVD and CD players and portable gaming systems. They come with an in-ear sound isolating design to hear your music without interruption, and block out external noises for a comfortable listening experience. These metal earbuds have a pleasing design, with beautiful transparent sleeve that protects the wiring cord. The bass on these earbuds punches deep and adds a layer of depth to music performances with a frequency range of 20 Hz-20 kHz. We also liked the fact that these earbuds comes with a built-in microphone which allows you to take calls on the go. The noise isolation technology allows you to be fully immersed in the sound while blocking outside ambient background noises. The 3.5m Connector is plated in gold, making it highly resistant to corrosion or oxidation which improves durability. The earbuds also come in a stylish rubber carry case, which keeps the earbuds safe and clean. If you are looking for some of the best earbuds for music, the Betron YSM1000 is a great choice. The sound performance of the YSM1000 earbuds is crystal clear, with great attention to detail and vibrant vocal reproduction. The sound quality on the YSM1000 is not as flat as we expected, and has more of a V-shaped sound signature which emphasizes the bass and highs. When we tested these earbuds, we found that the bass is decent and tight, and the midranges are clear and well-defined. The highs on the YSM1000 earbuds are crystal clear although they do lack a little sparkle at high volume levels. The timbre ranges on the YSM1000 are nice and clear and can bring out subtle details in the music. While the bass performance on the YSM1000 is decent, it does not sound overwhelming or muddy into the midrange frequencies. You can definitely still hear the music within the lower frequencies. These earbuds have a wide frequency range from 20Hz – 20 kHz which allows you to hear a wide spectrum of details in the sound. Music genres such as rock and hip-hop sounded very punchy and tight on these earbuds, and you would be able to appreciate the finer details in the music on the YSM1000 earbuds. The Betron YSM1000 Earbuds have a sleek and aesthetic appearance with red and blue colors to differentiate between right and left earbuds. It has thick cables which improves the overall durability of the YSM1000 earbuds. 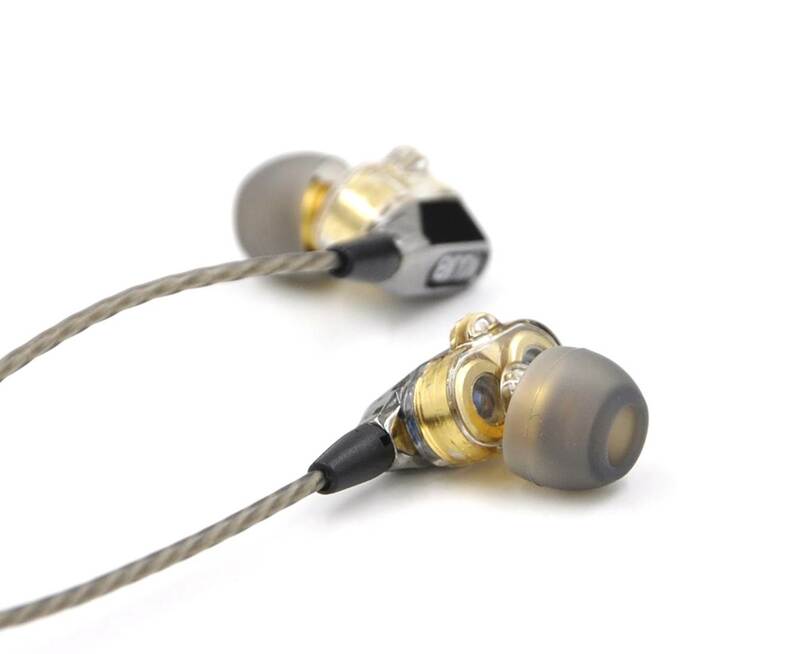 The 3.5mm connectors are also gold-plated to prevent oxidation and improve sound conductivity. The build quality of these earbuds is really good and features transparent sleeves which hold the wiring. We liked the fact that Betron earphones come with 3 sets of silicon earbuds and a set of memory foam earbuds which provide different customization wearing options. The earbuds are designed to be very comfortable to wear and you can listen to these earbuds for hours on end without feeling fatigued. The YSM1000 also comes with a stylish carrying case for easy portability and travelling. The Verdict? The Betron YSM1000 are among the best earbuds with good sound quality and detailed sound performance. It has a sleek and aesthetically pleasing design, and comes with rubberized earbuds which feel very comfortable to wear for extended periods of time. We also liked the fact that the YSM1000 earbuds come with three sets of silicone earbuds and a single set of memory foam earbuds for extra comfort. These earbuds are designed to be very durable and have gold plated connections for high quality music transmission. They are also comfortable to wear and provides lasting comfort while reducing ear fatigue after prolonged periods of listening. We liked the lightweight design and portability of these earbuds; it also comes with a travel case for easy storage. On the whole, the Betron YSM1000 are some of the best earbuds that deliver a great combination of sound performance and comfort and we highly recommend them. How does it sound? Balanced sound signature with crisp highs, clear midranges and decent bass response. The sound does not distort at high volume levels. The ROVKING earbuds are some of the best earbuds designed to produce deep bass and quality stereo sound. These earbuds give you clear mids, strong bass and adequate highs without distortion – the sound feels clear, balanced and loud. The premium metal housing of the earbuds make it a match for your iPhone, with the same sandblasted textured surface. The metallic shine of aluminium alloy and with the textured surface gives these earbuds a more elegant look than those made of plastic. In addition to the design, these earbuds have Call and Music Control as well, where you can use the in line button to answer or hang up phone calls easily during your daily commute. You can play and pause musics as well, and control music tracks by pressing the inline remote. The ROVKING earbuds come with three (3) sets of backup ear tips in three sizes, large medium and small, which offer you a comfortable and custom fit and provides good noise isolation. Furthermore, these earbuds come with a solidly built lightweight portable carrying case made out of aluminium for portability. These earbuds also come with a cable sleeve on the wire which can protect the earbuds from breaking or fraying during travel. Overall, the ROVKING are some of the best earbuds you should try if you prefer a more bass heavy music signature and are great for EDM-music genres. The ROVKING earbuds deliver really good sound quality with great attention to detail. They have fine-tuned acoustics that balance strong bass, crisp highs and clear midranges at any volume level. We liked the fact that you can crank up the volume on these earbuds to maximum without hearing any distortion. They sound very punchy with good bass response at around 100 Hz without rolling off at low volume levels. The earbuds are responsive to EQ changes and you can adjust the sound and tone according to your preferences. Music performances sounded very crisp and clear with the ROVKING earbuds, and you do not hear any muffled sound or harshness. The highs are sweet and crisp and it has good timbre ranges. The midrange tones are well-defined and very nice to listen to. The ROVKING earbuds have a sleek and modern looking design and are quite stylish. It has a sandblasted textured surface which makes them look compatible with iPhone devices. ROVKING has included extra earbuds to help them fit into your ears and they provide good noise isolation. We liked the fact that the ROVKING earbuds come with a carrying case that fits into your pocket – the casing is durable and made out of aluminium and is lightweight enough to be carried with you while travelling. The earbud wiring comes in a sleeve which enhances durability. Our only quibble with the ROVKING earbuds is that they lack volume control buttons and you need to change soundtracks and volume directly from your mobile device. It also comes with a built-in microphone for you to take hands free calls on the go which is an added plus. The Verdict? The ROVKING earbuds are some of the best earbuds that deliver great value for money. They have good sound quality and are able to produce crystal clear sound at any volume level. The sound performance on these earbuds is balanced and well-defined with good attention to detail. The build quality is durable enough to last for quite a long time and can be used for travelling. We also liked the fact that the ROVKING earbuds come with extra ear-buds of different sizes to choose from including a carrying case for portability. Our only quibble with the ROVKING earbuds is that it does not have any volume or music soundtrack controls which means that these adjustments would have to be done directly from your mobile device. The earbuds are designed to be lightweight and ideal for listening while exercising or walking – they do come with a built-in microphone for you to take hands free calls on the go which is a nice added touch. On the whole, the ROVKING earphones are some of the best earbuds you can find that provide good value for money and are worth a closer look. The Actionpie VJJB-BS1 earbuds are some of the best earbuds that provide high-definition sound with a wide frequency range from 20 Hz to 24 kHz. They come equipped with high-performance dynamic driver systems with two 6mm driver units and a moving coil unit to supress high frequency glitches. The Actionpie earphones provide exclusive tuning technology with clear and natural sound balance which provides an immersive listening experience. It has a sensitivity of 110dB and an impedance of 8ohms. The included soft silicone ear buds are comfortable to wear and reduce background noises. In addition, the Actionpie earbuds has a built-in mic which lets you talk hands-free on your device. 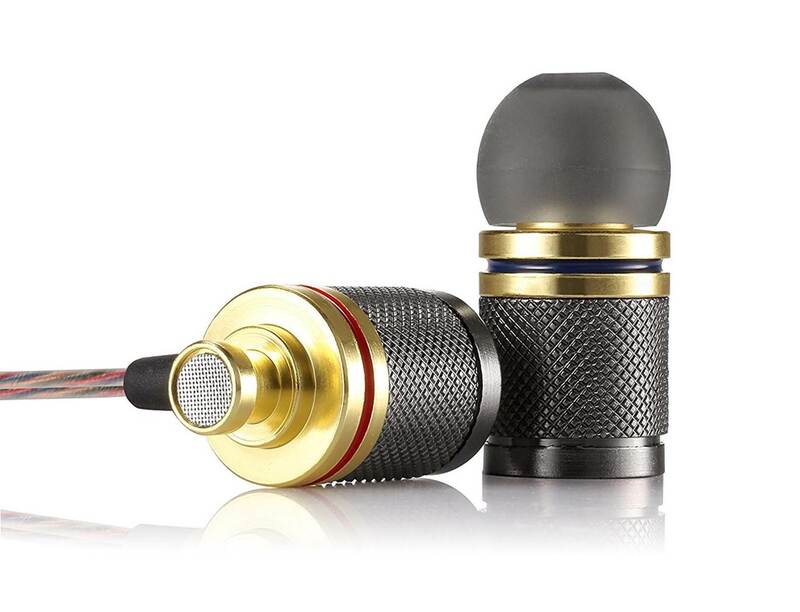 It features a 3.5 mm gold plated connector which helps with performance and durability and improves signal transmission. These earbuds are compatible with a wide range of devices including iPhones and android devices. Overall, the Actionpie are some of the best earbuds we have tested that provides a good quality listening experience and we highly recommend them. The Actionpie VJJB-BS1 has very good sound performance and stereo quality. It comes with a high performance 6mm driver that can pump out crystal clear vocals and music. The highs and midranges are crisp and clear, and the bass and lower-bass tones sound refined and punchy. The earbuds have a wide frequency response between 20 Hz to 24 k Hz and have a rated impedance of 8 ohms. Instrumental music sounded relatively spacious on these earbuds, while vocal and orchestra music sounded vibrant and pretty lifelike. The timbre ranges on these earbuds are pretty subtle, but provide a good blend of highs and midranges when listened together. Bass-heavy music genres such as electronic dance music and rock sounded fun and enjoyable with deep punchy bass beats. We did not hear any distortion on these earbuds and the bass does not feel bloated or muddy. The VJJB-BS1 has a sleek and unique design that makes it stand out from the crowd. It has a durable build quality, and uses a magnetic neodymium iron boron magnet. It has two driver units with a custom permanent magnet, delivering clear, natural and unique sensing technology to suppress high frequency glitches with a high performance moving coil unit. The design is thoughtful, with the option to switch out earbuds to ensure that you get the best comfort or fit. It also comes with a foam material that will cancel out all the noise from the outside and provide an immersive listening experience. The cords that come with the earbuds are thick and do not tangle easily. The 3.5mm connector on the Actionpie earbuds is gold plated which improves the quality of the sound transmission. The earbuds also come with a built-in mic for hands free calls and a carrying case for easy portability. The Verdict? The Actionpie VJJB-BS1 is one of the best earbuds that delivers dynamic sound quality and a unique lightweight design. These earbuds uses magnetic neodymium iron boron magnetics with two 6mm drivers for dynamic sound performance. It also has a moving coil unit which delivers crisp highs and detailed vocals. The earbuds provide crisp sound, with clear and powerful bass, and immersive midranges that make your music sound lifelike, and are particular good for bass-heavy music genres. The unique design of earbuds adds a good aesthetic appeal to it, and it also has gold-plated connectors for high-quality sound transmission. We really liked the fact that the manufacturers provided earbuds and foam tips of different sizes to choose from to get the ideal fit. The foam tips are comfortable to wear and also cancel outside background noises effectively for a better soundstage. The earbuds come with the standard 3.5mm auxiliary input and are compatible with android devices and iPhones 6/6S smartphones. Overall, the Actionpie VJJB-BS1 are some of the best earbuds available with a unique design and we highly recommend them. The MindBeast Super Bass are some of the best earbuds with a sleek design and extended bass response. These earbuds are designed to reduce up to 90% of ambient background noise and provide a very comfortable fit – it comes with a metal shell and a connection joint that prevents sweat from leaking into the earbuds. These earbuds fit in your fits comfortably and securely, with 3 pairs of small, medium and large sized soft silicone replacement earbuds for you to choose from. These earbud are built for universal compatibility with a 120 degree 3.5mm audio jack that works with iOS and android devices, as well as PS4 gaming devices. The earbuds also come with a built-in microphone which provides allows for hands free calls and voice control over your mobile devices. We also liked the fact that the Mindbeast earbuds come with a leather zippered portable case which is waterproof and dirt-proof. The built-in mesh bag keeps the 5ft extension cord organized and perfect for travel. Overall, if you are looking for some of the best earbuds with crisp sound quality and a very sleek design, the MindBeast earbuds comes highly recommended. The Mindbeast Super Bass earbuds provide crisp highs, detailed midranges and pretty accurate bass response. The timbre ranges on the earbuds sound smooth and detailed, and music genres such as jazz and classic rock sounded very detailed and accurate. The sound signature on the Mindbeast earbuds is best described as well-balanced with a slightly bass-leaning signature and we thoroughly enjoyed listening to these earbuds. You can also practically crank up the volume on the Mindbeast earbuds without hearing any distortion which is a great added plus. The bass on the Mindbeast earbuds hits hard and goes pretty deep, which adds plenty of texture and layers to the music. The timbre and treble ranges are crisp and smooth and we did not hear any harshness at high volume levels as well. In terms of sound performance, we would say that the Mindbeast earbuds ranks close to top among all the earbuds we have tested. The Mindbeast earbuds have a sweatproof and lightweight design which make them very comfortable to wear. 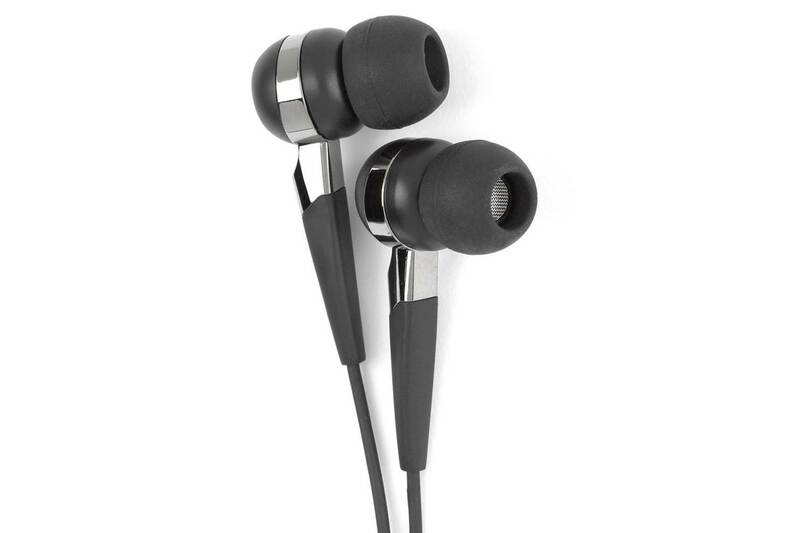 It features a tornado shaped metal-shell design that allows the earbuds to stand out from the crowd. The earbuds also have seamless connection joints which prevent sweat from leaking into the inside of the earbuds. The ear-tips that come with these earbuds provide good sound isolation and reduces ambient background noises, allowing you to listen to the music without any distractions. The earbuds are designed with universal compatibility with 120 degree 3.5mm audio jack which is compatible with both iOS and android devices, as well as Xbox and PS4. The earbuds come with a leather zipper portable case which allows for easy portability on the go. The Verdict? The Mindbeast earbuds are some of the best earbuds we have tested that delivers punchy sound performance and have a unique metallic tornado design. The sound quality on the Mindbeast earbuds is exceptionally crisp and crystal clear, with a well-balanced sound signature that has a good emphasis on the lower-midrange and bass frequencies. Music genres such as electronic dance music and rock and hip-hop sounded tight and deep, and we thoroughly enjoyed the sound performance of these earbuds – the earbuds do not produce any distortion at high volume levels. We liked the fact that the manufacturer also provided eartips and earbuds of different sizes to choose from for a comfortable fit. The earbuds also provide relatively good sound isolation and blocks outside ambient background noises by up to 90%. It also comes with a zipper portable casing for easy portability. If you are looking for some of the best earbuds for music, the Mindbeast earbuds are a great choice. How does it sound? Rich, full-bodied sound signature with an emphasis on the highs and upper-midrange frequencies. The bass is nice and punchy and does not muddy into the midranges. The Creative EP-630 are some of the best earbuds that provide pristine audio clarity with a compact noise-isolating design. These earbuds are designed to deliver rich, full-bodied music and reduce distracting background noises. They also come with a range of silicone ear tips for the best fit and provide a good listening experience. Each earbud is equipped with a specially engineered 9- milimeter Neodymium magnetic driver to provide a wide frequency response across different music genres. It also comes with a 1.2m oxygen-free cooper cable that provides uninterrupted voice and music transmission with higher quality music streaming. The earbuds are ergonomically designed to reduce sound leakage and provide a comfortable listening experience. We also liked the fact that these earbuds come with three sets of soft silicone tips with different sizes to choose from for optimal comfort. Overall, the Creative EP-630 are some of the best earbuds that provide full-range sound quality and we highly recommend them. The Creative EP-630 earbuds are capable of delivering good tonal balance and bass output at any volume level. The sound quality that these earbuds produce is crisp, vibrant and clear, and has a pretty balanced sound signature. The lower-midrange and mid-bass frequencies are present and audible in music soundtracks – music genres such as electronic dance music and rock and hip-hop sounded vibrant and punchy. Vocal performances and classical music genres sounded crystal clear with good detailed sound reproduction and separation. We liked the fact that you can crank up the volume on the EP-630 earbuds without hearing any distortion. 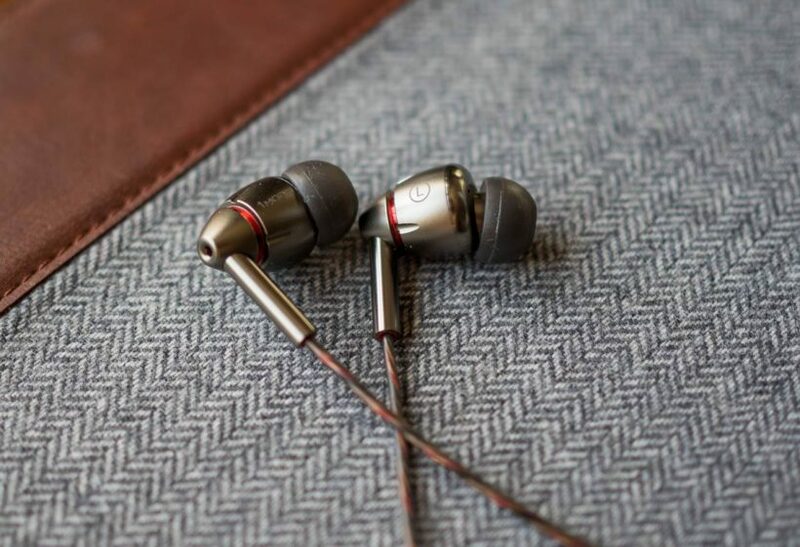 These earbuds do not produce any muffled sounds and have very crisp highs and detailed midranges – we also did not hear any harshness with the EP-630s and they are very enjoyable to listen to. The Creative EP-630 earbuds have a solid and durable design. It has a really good build quality and are specially engineered with 9mm neodymium magnetic drivers to provide really crisp sound performance. The EP-630 also come with a gold-plated 1.2m oxygen-free cooper cable which provides uninterrupted voice and music transmission. The Creative EP-630s are ergonomically designed to provide a comfortable listening experience with very low sound leakage – you can practically wear these earbuds for hours on end without feeling any fatigue. We really liked the fact that each pair of earbuds comes with three sets of soft silicone tips which allow you to select the size for optimal fit. The Verdict? The Creative EP-630 are some of the best earbuds with balanced sound and crystal clear highs. The sound quality on the EP-630 is dynamic and full-range, and we were able to hear the details in the audio spectrum relatively well. The earbuds deliver crisp highs, detailed midranges and good bass response and we tested these earbuds with a variety of music genres including classic rock and pop. The EP-630 earbuds have an ergonomic design that blocks out background noises while keeping sound leaks to a minimum. The EP-630 also comes with a gold-plated 1.2m oxygen free cooper cable that provides high quality music transmission and an ergonomic design for listening comfort. Overall, the Creative EP-630s are some of the best earbuds that deliver good value for money and we highly recommend them. The Symphonized NRG 3.0 are some of the best earbuds made of handcrafted genuine wood that provide sweet and crisp sound performance. 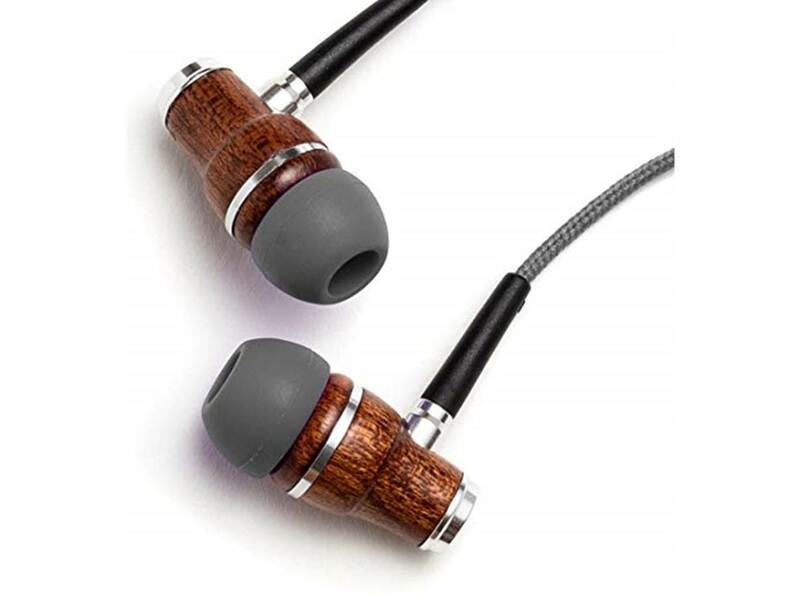 These earbuds are designed to produce crisp and powerful acoustics with deep bass response and enhance the natural acoustical qualifies in wood. The earbuds are capable of delivering studio-tuned premium sound quality with crystal clear immersive audio. We also liked the fact that the Symphonized earbuds come with custom silicone ear tips available in three different sizes to choose from; the earbuds provide good sound isolation and reduces ambient background noises for long-term wearing. The earbuds come with volume control, pause/play capabilities and answer/end call functionality with voice control. It also has a smart in-line microphone which allows you to take hands free calls. The Symphonized earbuds are compatible with virtually all iOS and android phone devices with its standard 3.5mm audio input jack. Overall, the Symphonized NRG 3.0 are some of the best earbuds that we have come across and highly recommend them. The Verdict? The Symphonized NRG 3.0s are some of the best earbuds designed to provide natural sound performance with good tonal clarity. It comes with an aesthetically pleasing wood-grain finish that provides a sleek appearance while adding a natural bass response. The sound signature on the NRG earbuds is more bass-leaning and mellow in tone, and it brings out the lower frequency ranges well. The earbuds have an ergonomic design and come with multiple eartips of different sizes to choose from for a comfortable fit. It has dual toned TPE cables which help to prevent tangling. The NRG earbuds also support voice control and a smart inline microphone which allows you to take hands free calls on the go. The earbuds use a standard 3.5mm audio input jack to connect to your mobile device or mp3 player. On the whole, the Symphonized NRG 3.0 are some of the best earbuds with an aesthetically appealing wood finish and are worth checking out. How does it sound? The BC100s have studio-like sound quality with great attention to detail – crisp highs and detailed midranges. The bass response is somewhat flat due to the monitor drivers. The BASN BsingerBC100 Singer are some of the best earbuds that delivers accurate and balanced sound. These earbuds come with an ergonomic memory ear hook and medical grade silicone eartips which provide a comfortable and secure fit into the ears. They are designed for music lovers and deliver detailed music sound with good quality. The earbuds come with dual high-definition drivers with powerful neodymium magnets that deliver studio-like quality sound. It also comes with an MMCX connector which provides easy and efficient cable replacement; you can match different kinds of earbuds and cables to create your own style. The BC100 comes with oxygen-free cooper cables which delivers high quality sound transmission with more details. The earbuds use a 3.5mm gold-plated jack and is compatible with android and iPhone devices. Overall, the BASN BC100s are some of the best earbuds available that deliver quality sound performance and a unique IEM design. The BASN BsingerBC100 Singer earbuds deliver high-definition sound performance with very little distortion at maximum volume. These earbuds are built to deliver studio-like sound quality and high-definition sound. They are capable of capturing every single detail in the music with pristine accuracy and have great tonal clarity. These earbuds work very well for musicians who want to listen to every single detail in their music without any artificial enhancements. The acoustic drivers deliver crisp sound performance with clean vocals and vibrant instrumental notes. Music performances sounded very lifelike with good stereo separation and imaging, and you get a sense of where each note is coming from with the BC100 earbuds. The dual dynamic HD driver on the BC100 also provides pretty good frequency response and has full-range sound output. The earbuds do produce a nice surround-sound effect which brings out the details in the music really well. We particularly liked the sleek and unique design of the BASN BC100 earbuds. They work well as earbuds and look very fashionable with a bright colorful appearance. The earbuds come with dual drivers which offers exceptionally detailed music playback for musicians, singers and vocalists. The dual HD dynamic driver on these earbuds has a dedicated tweeter and woofer that crisp highs and deep low frequency reproduction. It also comes with a detachable cable with MMCX connectors which allows for easy part replacements – you can mix and match different kinds of earbuds and cables to create your own listening profile. The earbuds also come with ergonomic adjustable memory ear-hooks which keeps the earbuds securely in place. We liked the fact that the manufacturers provided us with 5 pairs of medical grade silicone ear-tips for you to choose from to get the right size. The earbuds also come with an MC100 inline microphone cable for you to take hands free call operations on the go. The Verdict? The BASN Bsinger BC100 are some of the best earbuds that provide a customized listening experience and a fashionable stylish design. The earbuds have dual high definition drivers with powerful neodymium magnetics for accurate and balanced sound reproduction, and the earbuds are made from medical grade silicone with memory ear hooks for a comfortable fit. The sound performance of the BC100 earbuds is studio-like, and are able to pick up all the details in the music with great accuracy and clarity. It has a full-range frequency response and delivers nice treble ranges to smooth bass response. The earbuds come with a 4N oxygen-free copper cable which delivers high quality sound transmission – the earpieces also come in different colors to choose from to match your mood. The earbuds come with 5 pairs of silicon eartips for you to customize your listening experience and provide good sound isolation. 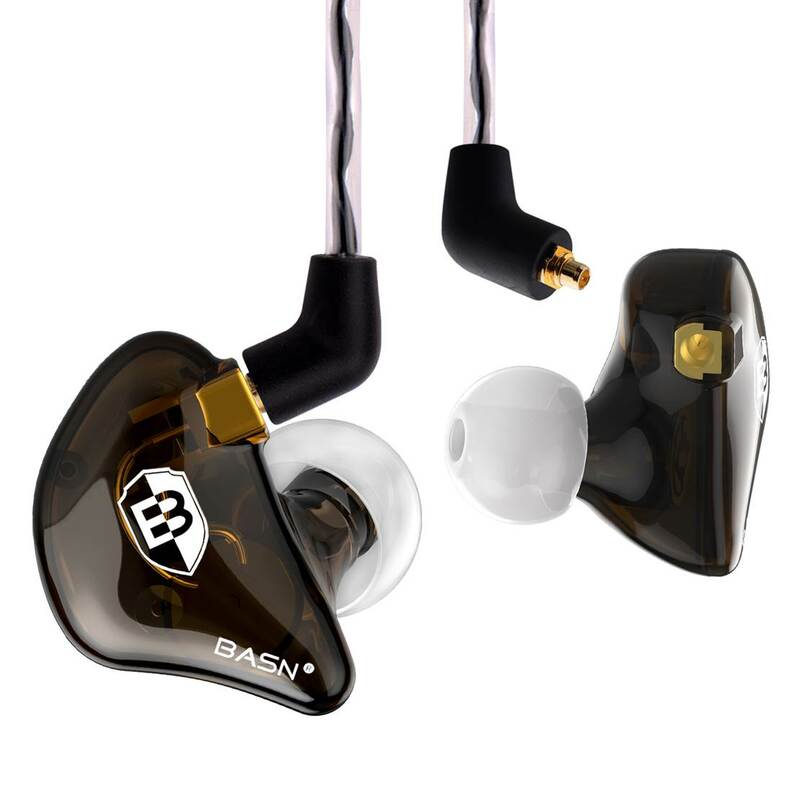 Overall, the BASN BC100 are some of the best earbuds we have listened to with crystal clear studio-like clarity and we recommend them for musicians or music lovers who want to pick up every minor detail in the music. The Sony MDRXB510 are some of the best earbuds designed for deeper and extended bass reproduction. These earbuds are IPX5 protected and designed to be sweatproof, which makes them perfect for gym or outdoor use. The Sony earbuds have a frequency response of 4 Hz to 24 k Hz and a sensitivity of 106dB. They can provide really clean and detailed sound quality without any distortion at higher volume levels. The Sony MDRXB510 comes with a built-in microphone and in-line remote for use with Apple devices. It is also freely extendable with a Y-type cord. It has an arc support to hold the earbuds securely in place. We liked the fact that these earbuds also come with an in-line remote and microphone which allow you to skip tracks, answer calls and change volume level at a push of a button. Overall, the Sony MDRXB510 are some of the best earbuds that deliver a deep low-end with crystal clear sound quality and we highly recommend them. The Sony MDRXB510 earbuds deliver crystal clear sound performance with very little distortion. The earbuds are capable of delivering crisp highs with detailed midranges and have a good emphasis on the lower-bass tones. Music performances with heavy bass-tones and beats sounded punchy and very enjoyable to listen to – we liked how music genres such as electronic dance music and rock sounded through these earbuds. We liked the fact that were able to crank up the volume on the Sony earbuds without hearing much distortion – the details in the sound remain vibrant and clear and the highs do not roll off at lower volume levels. The Sony MDXRB510 earbuds have a more V-shaped sound signature with crystal clear highs and detailed bass. We also tested classical and instrumental music through the MDXRB510 earbuds and they sounded crisp and well-defined. In terms of sound performance, the Sony earbuds perform on par with higher-end earbuds that we have tested in this category. The Sony MDRXB510 earbuds have a simple and minimalist design. It comes with ear hooks to stabilize the earbuds and can be worn while exercising or in the gym. We liked the fact that the earbuds are designed to water and sweat resistant and are IPX5 waterproof. The earbuds have a very wide frequency response between 4 Hz to 24 kHz and a sensitivity of 106dB which is more than enough volume. It also comes with a built-in microphone and in-line remote for use with iOS and android devices. 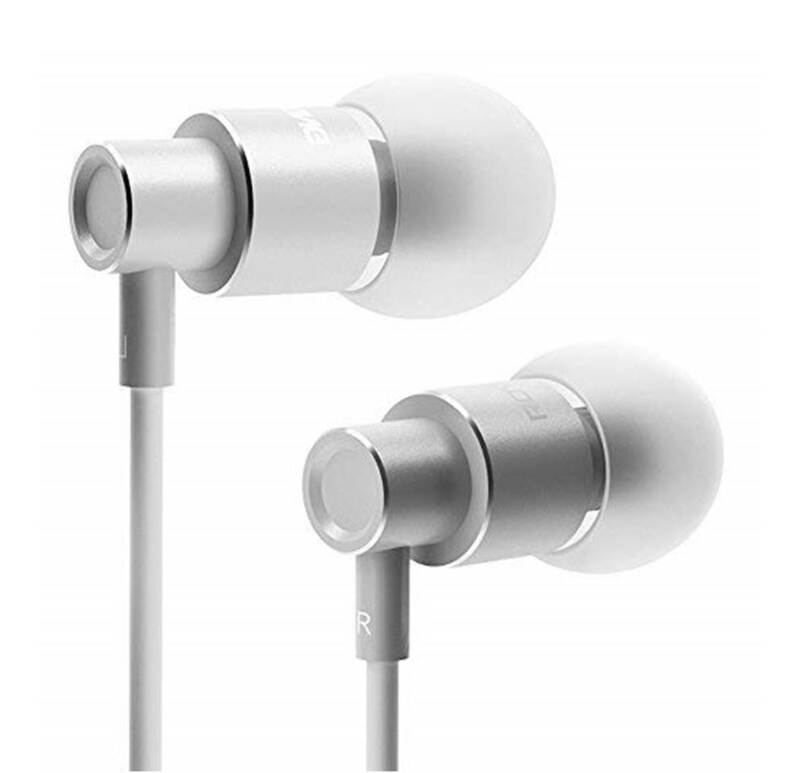 The Sony earbuds have a Y-type cord which allow freedom of movement and can be extended easily without tangling. They are relatively lightweight and compact with an ergonomic design that makes them very comfortable to wear – these earbuds practically disappear on your ears over time and do not cause extended ear fatigue. These earbuds have a black matte design that looks sleek and blends in nicely with mobile devices. The Verdict? The Sony MDRXB510 are some of the best earbuds that provides full-range sound quality with plenty of bass and depth. The sound quality is crystal clear and has plenty of volume without any distortion – the frequency response is a wide 4 Hz to 24 kHz and can pick up details in the music really well. The Sony earbuds have a sensitivity of 106dB and can handle a variety of music genres including electronic dance music, jazz and hip-hop really well. We liked the fact that these earbuds are simple and minimalistic and have sweat resistant design. It comes with built-in ARC supports to stabilize the earbuds while using them in the gym or exercising. 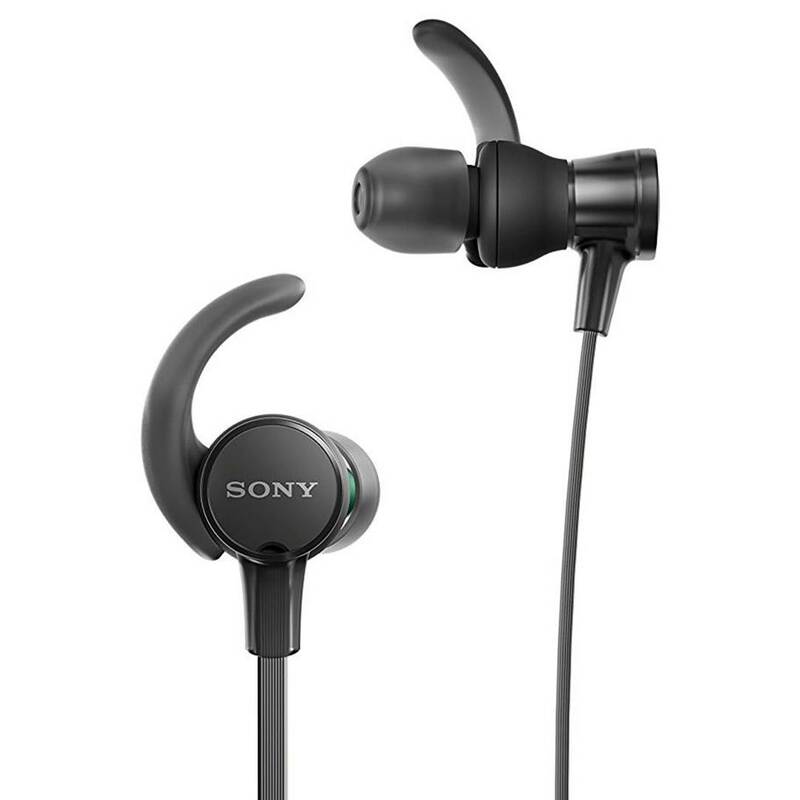 The Sony earbuds also have an extended Y-type cord which provides greater flexibility and comfort. The in-line remote on the earbuds also allows you to skip tracks and answer calls or adjust the volume of your soundtracks on the go. Overall, the Sony MDRXB510 is one of the best earbuds that provides crystal clear sound with plenty of depth and we highly recommend them. The VJJB N1s are some of the best earbuds that deliver high-fidelity sound performance with dual drivers. These earbuds come with a dual driver design that uses separate low-frequency and high-frequency drivers to deliver enhanced sonic detail and frequency response. The VJJB has a flat sound signature and is ideal for music lovers who want studio-like audio quality without excessive lows and bloated bass. 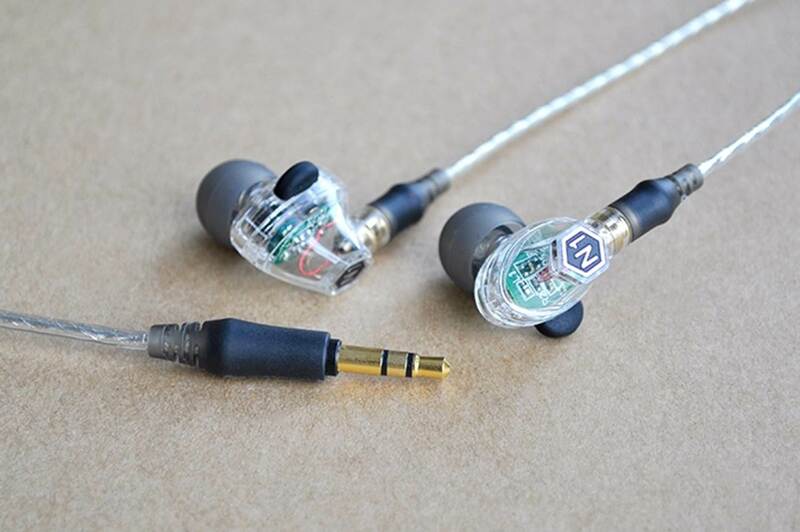 The earbuds are capable of delivering rich highs, midranges and treble response and is suitable for all genres of music. The VJJB earbuds also feature an ergonomic and soft design with a silicon earflap for comfortable listening; it has a 120 degree oblique arc which allows them to fit inside the ears more comfortably. The silicone earbuds provide a secure and firm fit to reduce the amount of noise leakage and provide an immersive listening experience. We also liked the fact that the VJJB earbuds come with an in-line control which allows you to answer calls and pause or play music on the go. Overall, the VJJB N1 are some of the best earbuds with a very sleek silicone earbud design and quality sound performance, so don’t forget to check them out! The sound quality of the VJJB N1s is surprisingly clear and detailed – they have pretty good bass and clear highs and midranges. The earbuds are responsive to EQ adjustments and you can effectively customize these earbuds to deliver sound performance according to your preferences. The timbre and treble ranges on the VJJB earbuds is crisp and clear, and vocal performances sounded smooth without any harshness. The midranges are adequately defined and the bass response is surprisingly decent with good lower-midrange frequency response. We particularly enjoyed listening to classical and instrumental music performances on the VJJB earbuds – they can pick up every single detail in the music with good accuracy and precision. The earbuds are specifically designed to enable you to wear all the highs, midranges and bass exactly as the artist intended it to be heard and provides a really immersive full-range experience. The VJJB N1s have a sleek and very nice silicone ear-tip design. It comes with dual drivers which provides high-fidelity sound performance and offers a wider sound-field. The earbuds come with a silicone arc design that fits in comfortably inside the ear canal for a comfortable listening experience. The N1s are also compatible with virtually all mp3 devices with the 3.5mm auxiliary jack, and work well with iPhones, iPads and mp3 players that support auxiliary connection. The N1 earbuds also come with in-line controls which allow you to answer and take calls at a push of a button and are convenient to use. We liked the fact that these earbuds have a relatively low-profile design and are comfortable to wear for long periods of time without causing any fatigue. The Verdict? The VJJB N1s are some of the best earbuds with dual drivers and high-fidelity sound performance. They have relatively good sound quality and can provide crisp highs with detailed midranges and decent bass output. The earbuds offers a wide sound-field with crystal clear highs and have an ergonomic design for better comfort. We also liked the fact that the manufacturers provided ear-tips of different sizes to choose from to get the best optimal fit. The ear-tips provide good sound isolation and are effective in blocking outside noises, while providing a comfortable listening experience. It also comes with an in-line control which allows you to answer calls and pause or play music at the touch of a button. The entire package comes with the N1 earbuds, 3 silica get set, memory foam ear-tips, 3.5mm microphone cable, 3.5mm audio cable and earphone pouch for easy storage. Overall, the VJJB N1s provide really good value for money with its sound quality and performance, and we highly recommend them. The Jayfi JA40 are some of the best earbuds with dynamic sound quality and clear stereo sound. They come with a 9.2mm dynamic unit driver with powerful neodymium magnets for great sonic accuracy and clarity. The JA40 earbuds come with full metal housing which is corrosion-resistant and more durable than traditional metallic earbuds. It is built with a special alloy that can transmit HD sound with greater accuracy and spread the sound signal as far as possible in the ear canal. These earbuds have a more bass-leaning sound signature and suitable for rock and pop genres. The JA40 produces deep bass and are finely tuned to deliver lower-mid bass ranges with detailed clarity. The JA40 has a unique cavity design that enhances the high-definition sound significantly. The earbuds use a 3.5mm auxiliary input and are compatible with music sources and devices that support auxiliary output. The earbuds have a special metal housing that is made of aluminium alloy in a shape of a coil and are comfortable to wear in the ears. Overall, the Jayfi JA40 are some of the best earbuds that provide deep bass and crisp sound quality and we highly recommend them. The Jayfi JA40 earbuds have a relatively wide frequency range between 20 Hz to 20 kHz and a sensitivity of 105dB/mw. The sound quality on the JA40 is very crisp and clear, and you can hear all the details in the music from the various instruments to the vocals. We liked the fact that these earbuds produce plenty of bass response and handles the lower-end frequency ranges really well. The bass does not bleed into the midrange frequencies and stays where it should be. Bass-heavy music genres such as electronic dance music, rock and pop sounded very punchy and detailed with plenty of texture. Electronic dance music sounded surprisingly good and punchy with a lot of details at the lower-end range. Vocal performances sounded crisp and clear, with nice stereo effects that give you a sense of where each instrument is coming from. You can also crank up the volume on the JA40 earbuds to maximum without hearing any distortion. These earbuds have an impedance rating of 18 ohms which means that they can be driven by headphone devices without any issues. 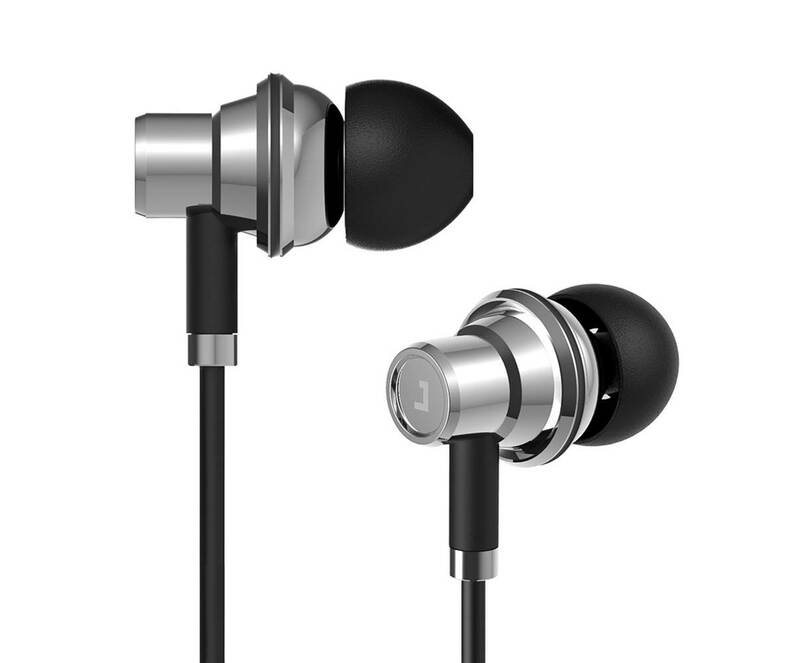 The Jayfi JA40 earbuds come with 9.2mm dynamic drivers which provide plenty of details and musical separation. The JA40 has a dynamic unit and special metal housing which provides a sleek and modern looking appearance. 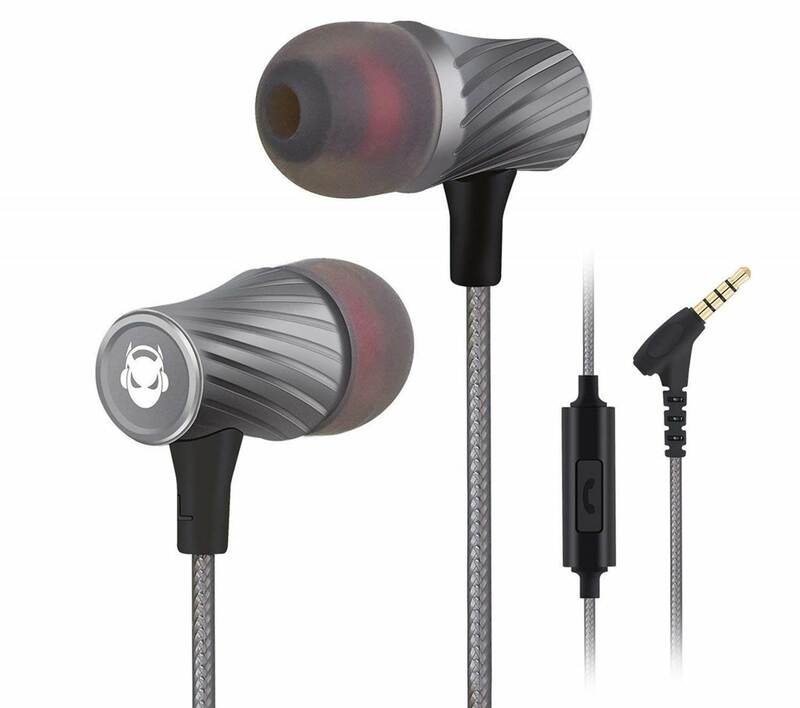 The earbuds are made of aluminium alloy which provide a unique appearance and a comfortable fit. These earbuds have a wire remote which are compatible with mp3, CD players and iPads and iPhone mobile devices. It also comes with a built-in microphone which allows you to take hands free calls on the go. The JA40 uses a 3.5mm auxiliary input jack for music transmission. The aluminium design on the JA40 makes them lightweight and easy to wear – you can wear these earbuds for prolonged periods of time without feeling fatigued. The Verdict? The Jayfi JA40 are some of the best earbuds with a full-range 9.2mm dynamic driver and delivers crisp sound quality with deep bass. The earbuds are equipped with powerful neodymium magnetics for better sound accuracy and clarity, and delivers full-range sound quality with a good emphasis on the highs and low-end range. The sound quality on the JA40 is very good, and they are capable of producing clear and authentic sound down to the last detail. We thoroughly enjoyed listening to these earbuds and they handle a mix of music genres relatively well without any harshness or muddiness. The JA40 earbuds come with a corrosion-resistant durable metal housing that looks very sleek and feels comfortable in the ears; you can wear these earbuds for hours on end without feeling fatigued. It also comes with a remote control compatible system and works well with android and iOS devices. The JA40 earbuds uses a 3.5mm auxiliary input and is compatible with a wide variety of music devices including iPhones and android smartphones. Overall, the Jayfi JA40 are some of the best earbuds that we have tested with a polished aluminium design and we highly recommend them.